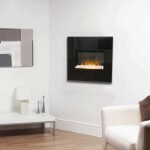 Electric Fires Birmingham – Offering a modern take on the fireplace norm, electric fireplaces take on many forms and styles. They are perfectly at home in both an ultra contemporary home, with fireplaces that rival modern art pieces, or a traditional setting, thanks to their ornate nostalgic designs. Electric fireplaces also come with the benefit of being cooler to the touch than gas powered fireplaces, making them ideal for families with young children or pets. They are a space saving, greener, and sleek appliance for the 21st century. We’re positive you’ll find the electric fireplace of your dreams right here, with plenty of big brand to choose from, such as – Be Modern, Dimplex, Evonic, Flamerite, Gazco, and Pureglow. 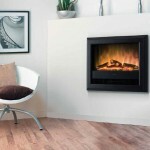 At the cutting edge of modern fireplaces, Hole in the Wall models offer a new twist on the traditional fireplace set up. Inserted into the wall instead of being placed inside a fireplace enclosure, they offer a bold and striking new choice for the 21st Century home owner, on a par with pieces of art at times. They can be subtle, being complete encased in the well, or more striking, with big glossy surround to make them stand out. It may not be what you’re used to, but these Hole in the Wall fires won’t take a second to win you over, with their stunning range of variety and finishes from several big brands, including Dimplex, Evonic, Flamerite and Gazco. The traditional picture in most of our minds when it comes to electric fires, insets are commonplace because of their sleek look and legendary reliability. There is a reason they are so popular! 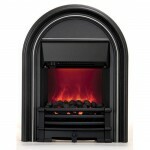 But far from played out, as you’ll see below, electric inset fires have evolved and diversified over all of these years. 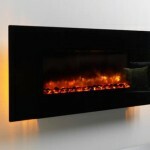 Electric fires now come with a multitude of options, over colour, style and size. You’re not just deciding what shade of black you want any more! 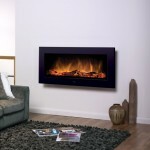 Check out our extensive range, featuring: Be Modern, Dimplex, Evonic, Flamerite, and Pureglow. 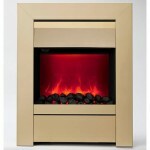 You’ll be hard pressed to find a better range of inset electric fires in Birmingham! 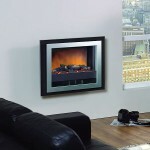 Don’t want to cut into your walls, but still desire a fireplace at the forefront of modern style? 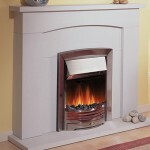 Then a beautiful wall hung fireplace is the option for you. 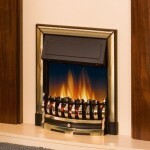 Secured to your wall without the need to excavate it, Wall Hung fires give you both modern style, and practicality. Similar to Hole in the Wall models, Wall Hung models can either be understated, with smooth edges that gracefully slope into the wall, or striking, thanks to metal or ceramic surrounds. 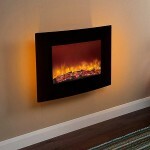 Here at York Fireplaces, we stock: Be Modern, Dimplex, Flamerite, and Gazco. We believe we have the best Wall Hung electric fireplace range around, so check out what we have in stock, either here on the website or in our Birmingham showroom.